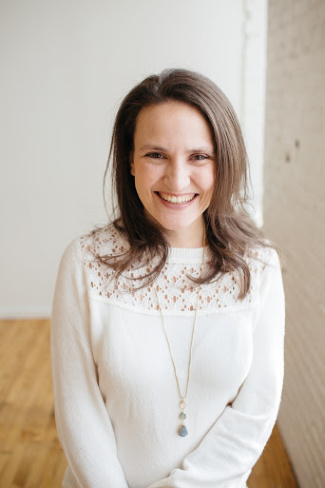 When you think about Montessori, there are so many different things you can think about -- the beautiful academic work, independent children, child-sized furniture, or natural materials. 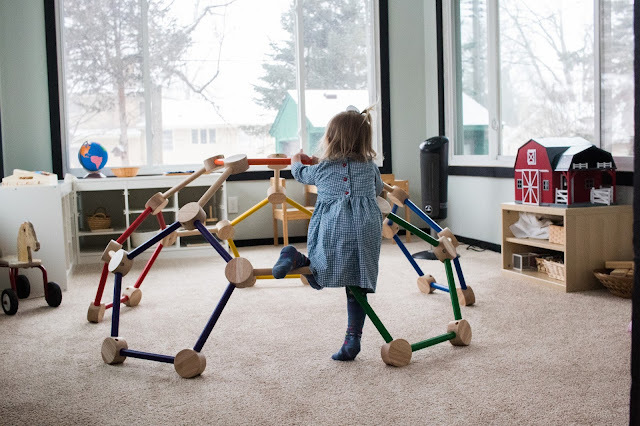 No matter what comes to mind, the freedom of movement probably drives some of the reasoning behind your Montessori idea. 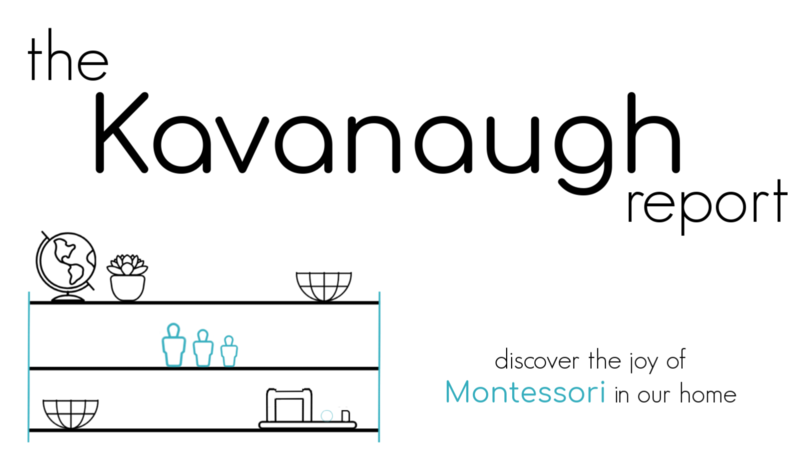 Allowing a child the freedom of movement is a Montessori essential that cannot be avoided in any Montessori, or Montessori inspired environment. The freedom of movement is so important that it starts at birth with natural gross motor development. 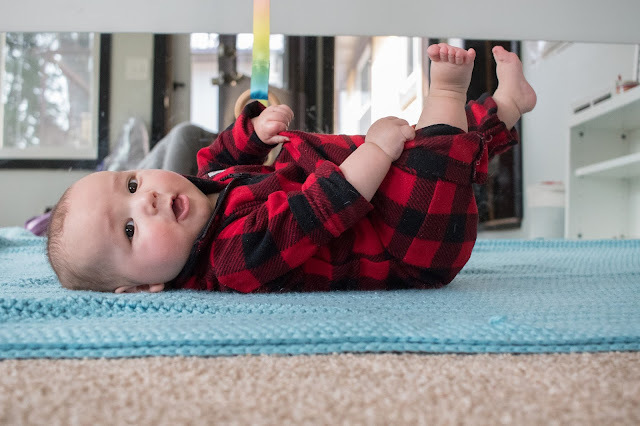 Now that Gus has started moving, and officially rolling, I thought it would be a good time to talk about natural gross motor development. 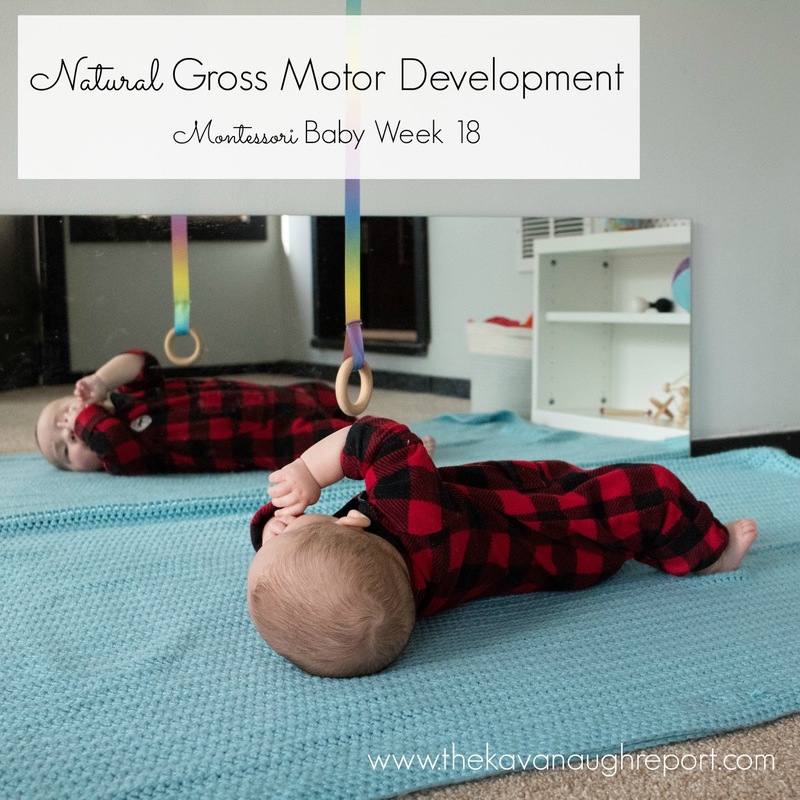 When I first heard the term natural gross motor development it sounded sort of odd. 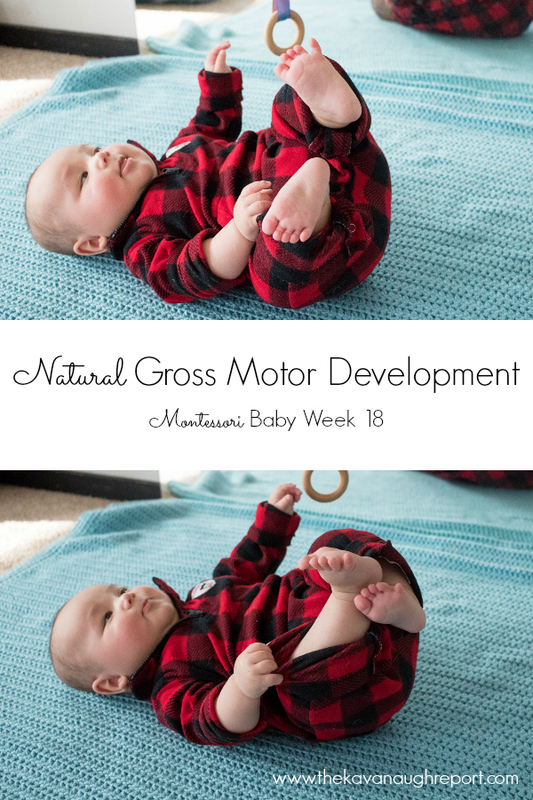 Isn't all gross motor development, natural? What on earth does it mean? But, the more I talked to Montessorians and read, the more it has made sense. But, believe me, I still have a lot to learn. 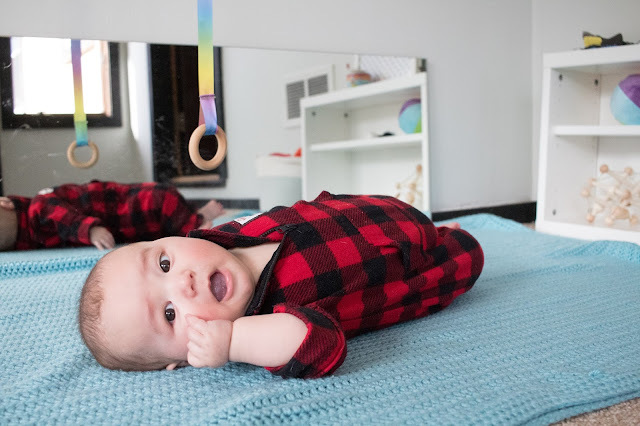 In really basic terms, natural gross motor development means allowing a babies to develop their gross motor skills at their own pace. Simple right?! It's following a child's path, not rushing to skip steps, and removing any obstacles that might be in the way of movement. 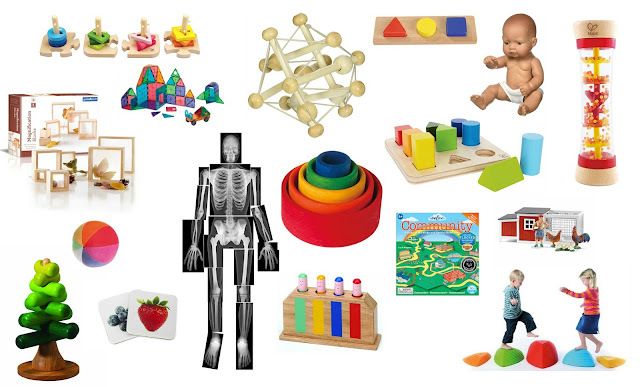 Practically, what is natural gross motor development? And, really, basically that's it! But, for us, it's been a change! With both Nora and Henry we used some baby equipment. Less so with Nora, but still. This time with Augustus, we got rid of it all -- with the exception of the boppy pillow and a rock 'n play. Both of which we have only used to prop Gus when he has been sick and unable to lay flat. But, otherwise, so far it has been pretty easy! I haven't missed any of the baby equipment at all! We do, however, do some tummy time but follow Gus' lead. When he gets upset we move back to a more comfortable position. I'm also very comfortable holding Gus whatever way I want, including sitting him up in my lap. Just know your baby is who he/she is and this will just allow him/her to develop according to his/her own needs! Have you followed natural gross motor development with your baby? Hi Nicole! I've been trying to implement this but my 5 week old cries after 2 minutes on his back. I do walk around with him though - not sure how to keep him with me and still move throughout the day (avoid sitting) but I'd like a good mix of both. Any advice? Hoping he comes to like it eventually. I started reading about this as my second (current) baby started sitting. He's currently taking his first few steps and it feels very different this time around, because it's so completely his own initiative. He just kind of stands and toddles abit whenever he feels like. It's so fun! I feel like my oldest did a lot of lunging from adult to adult at this stage so it's really different. 5 weeks is still really really young! A few minutes here and there is about all some tiny newborns can handle. I really suggest baby wearing in this case, lots of snuggles for the baby, and some hands-free time for you. Yes! I can't wait to see how walking goes with Gus! We did this with both our kids. They were both much slower than average to sit up (9-10 months instead of 6 months) and I wonder if part of it is because they had so much freedom to roll around or belly crawl and that was way more interesting than sitting (as compared to a playpen confined baby who could reach more by sitting or was placed in a sitting position more often to play). Hi Nicole. I believe there are many positive handling tips that if implemented that positively influence babies movement so I don't entirely agree with your statement of "handling baby however you like". Noah experienced stuckness which became evident around 6 month mark. Careful consideration of his emotional and physical needs was one step we took towards assisting him in resolving his gross motor issues (yes, they are intertwined! I can post more on this if you are interested). But handling of babies is one area that is often overlooked when looking at assisting babies. Careful tips of putting baby down and picking them up (based on their developmental stage) makes a huge difference. Babies learn everything through handling and feeling things from all sides, I believe strongly in all planes development, not that there is one more natural position than another. Really a baby's position, especially in early days, is very much dependent on the carer. 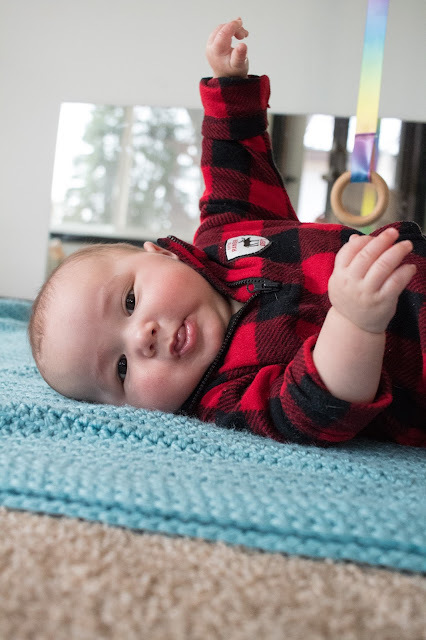 Best of luck to Gus for his continued gross motor development.